Music lecturer and renowned pianist Dr Andrew Warburton graduated with his PhD in Music for his thesis on Towards a personal interpretation of Beethoven’s Piano Sonata in E, Op.109. 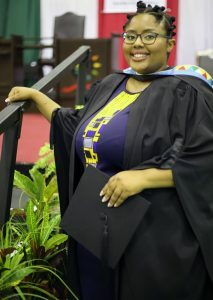 Lead singer of the highly acclaimed Heels over Head band and UKZN staff member Ms Thulile Zama was awarded her Honours degree in Social Sciences. UKZN Music lecturer Demi Fernandez performed alongside his wife Linda Vargas and son Ramon at the Centre for Jazz and Popular Music for one show only on Saturday, 23 March. 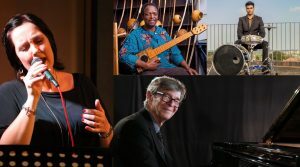 Renowned musician Professor Darius Brubeck who founded the Centre for Jazz and Popular Music 30 years ago will be at the 31st annual UKZN Jazz Jol on Saturday, April 6.